ATTENTION: This legal notice applies to the entire contents of this website under the domain name www.eyespyrecruitment.com ("the Website") and to any correspondence by e-mail between us and you. Please read these terms carefully before using this Website. Using this Website indicates that you accept these terms regardless of whether or not you choose to register with us. If you do not accept these terms please do not use this Website. 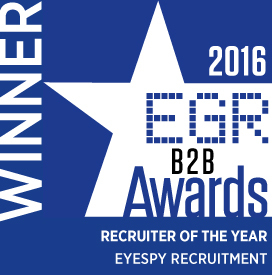 If you have any issues relating to privacy, terms or any legal aspect of www.eyespyrecruitment.com please email [email protected]. You may access most areas of this Website without registering your details with EyeSpy Recruitment. Certain areas of this Website are only open to you if you register. EyeSpy Recruitment may revise this legal notice at any time by updating this posting. You should check this Website from time to time to review the then current legal notice, because it is binding on you. Certain provisions of this legal notice may be superseded by expressly designated legal notices or terms located on particular pages at this Website. Unless otherwise stated, the copyright, database rights and other intellectual property rights in all material on this Website (including, without limitation, job descriptions, assignment details, photographs and graphical images) are owned by EyeSpy Recruitment or its licensors. For the purposes of this legal notice, any use of extracts from this Website other than in accordance with paragraph 4 above for any purpose is prohibited. If you breach any of the terms in this legal notice, your permission to use this Website automatically terminates and you must immediately destroy any downloaded or printed extracts from this Website. Subject to paragraph 4, no part of this Website may be reproduced or stored in any other website or included in any public or private electronic retrieval system or service without EyeSpy Recruitment's prior written permission.